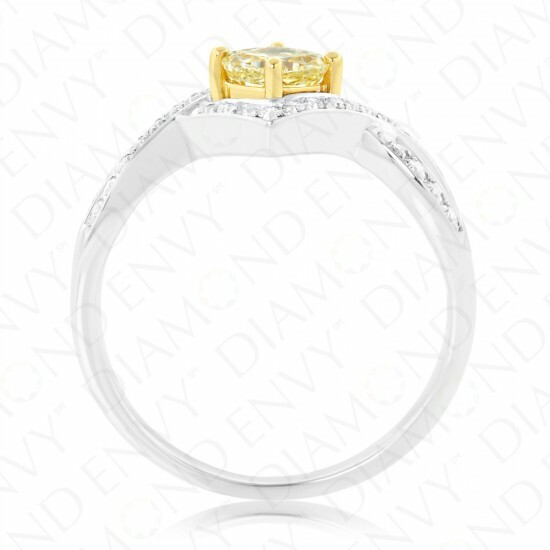 Thoughtfully crafted with charming results, this 18K two-tone gold ring features a 0.52 carat VS2 cushion cut Fancy Yellow diamond ensconced in four yellow gold prongs. 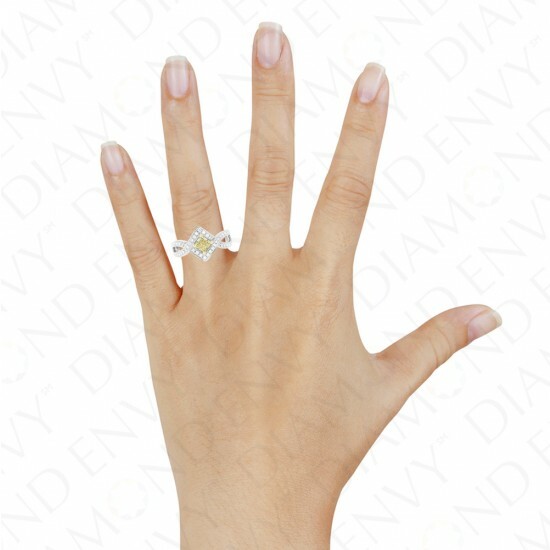 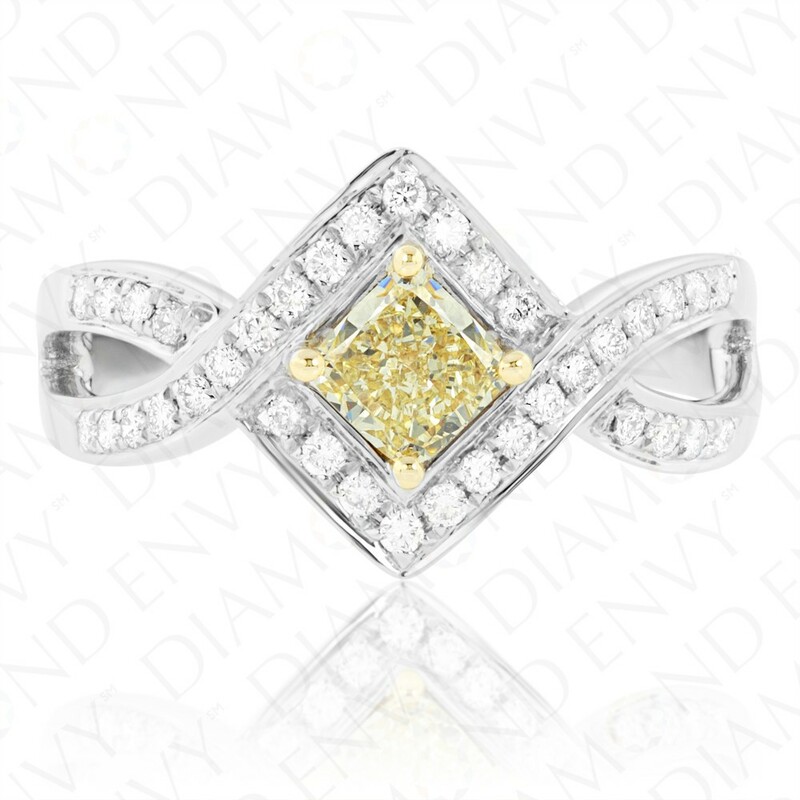 The yellow diamond is surrounded by a halo of F-G VS1-SI1 round diamonds and is centered in a diamond-accented artistic design that establishes a unique take on the infinity ring. Accent diamond total 36 pieces, 0.28 ct. tw. 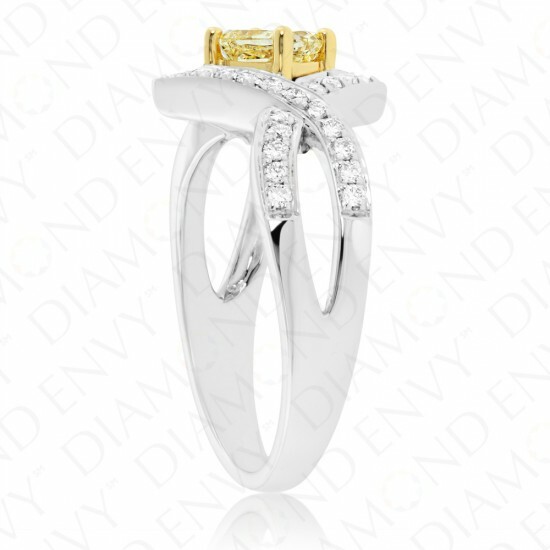 Gold weight: 4.90 grams. 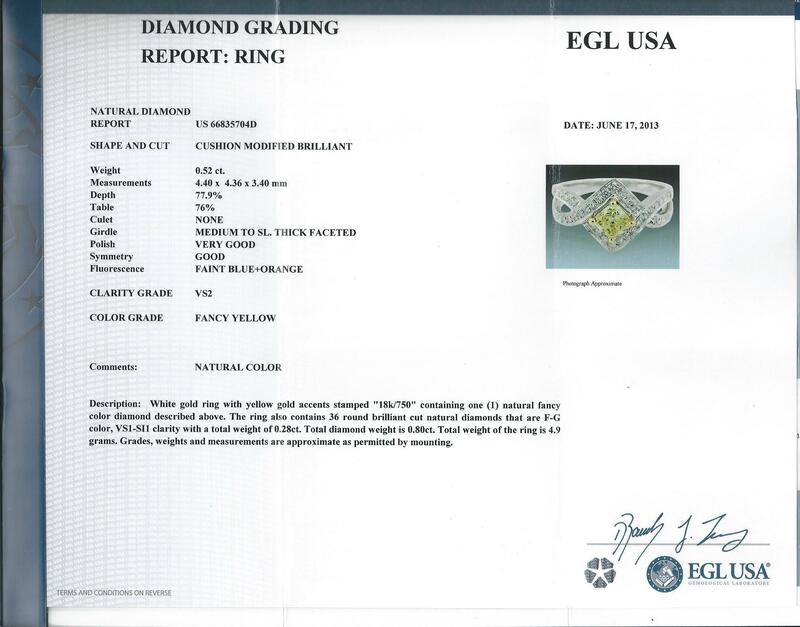 Ring is EGL-certified.